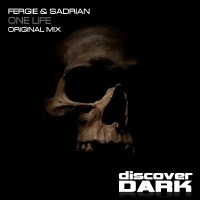 Fergie and Sadrian take up the reins next on Discover Dark with One Life. Rolling bass and a huge bottom end that is punctuated by an old school inspired vocal hit and a feast of production trickery drive the track relentlessly to the breakdown. Add in hypnotic toplines and choral vox samples that open up into the vocal speaxh and some full on breakdown trance goodness. One Life never strays far from the harder side of trance as it drops back in with a detuned stab lead line to deliver a tech trance slice of hi octane power! 'One Life' is available now from Beatport and iTunes.